Leah Konen has an exciting new YA contemporary coming May 10th and it sounds unbelievable! 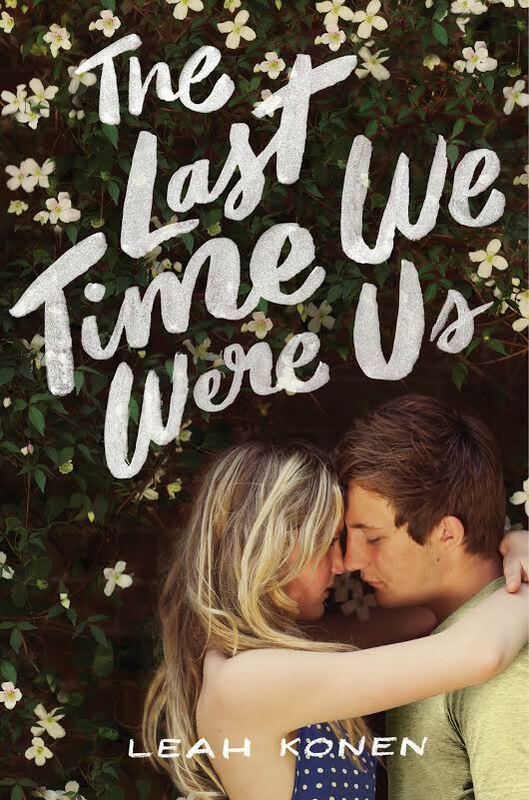 I’m thrilled to exclusively share with you the beautiful cover of The Last Time We Were Us and give you a never-before-seen sneak peek!!! Plus, make sure to scroll to the bottom of the post for a giveaway! Liz Grant is about to have the summer of her life. She and her friend MacKenzie are getting invited to all the best parties and, with any luck, Innis Taylor, the most gorgeous guy in Bonneville, will be her boyfriend before the Fourth of July. Jason Sullivan wasn’t supposed to come back from juvy. A million years ago, he was Liz’s best friend, but that was before he ditched her for a different crowd. Before he attacked Innis’s older brother, leaving Skip’s face burned and their town in shock. Leah Konen’s southern romance swelters with passion, as it explores the devastating crush of lies, the delicate balance of power and perception, and one girl’s journey to find herself while uncovering the secrets of so many others. Scroll down on window below, or click here to read. Enter to win a $10 Amazon gift card now. and then come back and leave a comment! I’ll pick a winner from the comments on Sunday! Pretty cover and it sounds good! Will add to my 2016 TBR!! You’re right, this books sounds amazing. I read the chapter and I am really looking forward to the whole thing. Thanks for the reveal. Done! Thank you so much. shared on fb. thanks for the giveaway. EEEP! I am so excited for this book! Eeeeek, the first chapter is so good that I need more like ASAP. The cover is Beautiful!! I Shared. Thanks for the chance! ?❤? Eeeeek, the first chapter is so good that I need more like ASAP. The cover is Beautiful!! I Shared on Facebook and Twitter. Thanks for the chance! ?❤? I Shared on Twitter @oliver84067 and I Shared on Facebook Tami Lee. ?